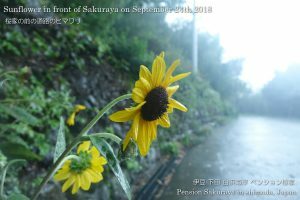 2018/09/30 The typhoon is approaching! I went to the beach to check the condition this afternoon. 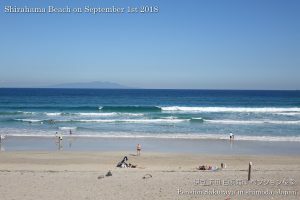 They haven’t had big waves yet, but the waves will be much bigger tonight. We sometimes can hear the sound of strong wind outside. 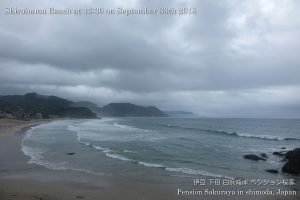 They typhoon is now ripping through Japan and the typhoon will be passing closed to Izu peninsula at around mid night today. 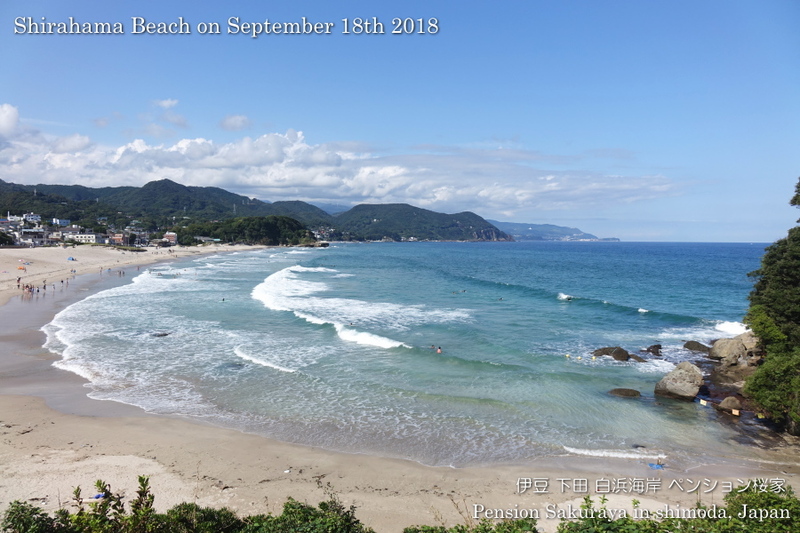 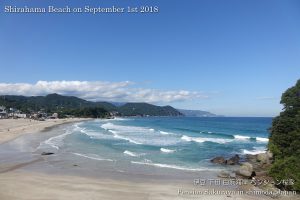 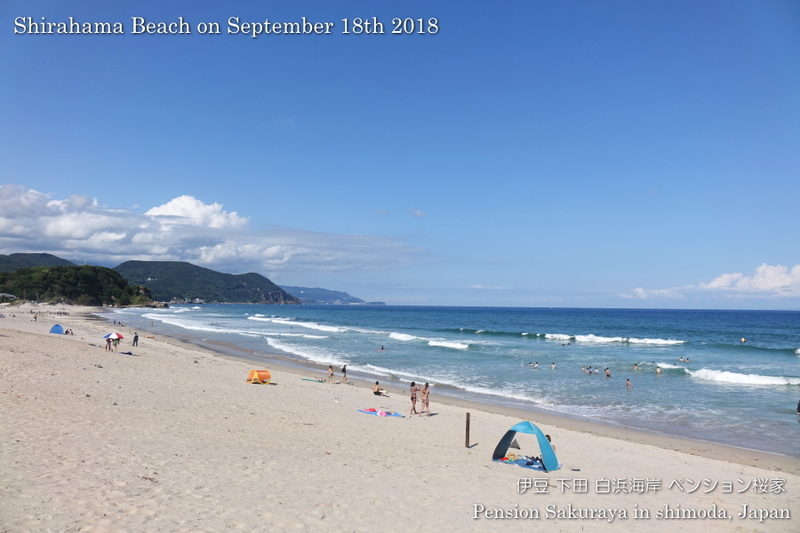 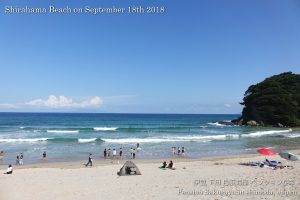 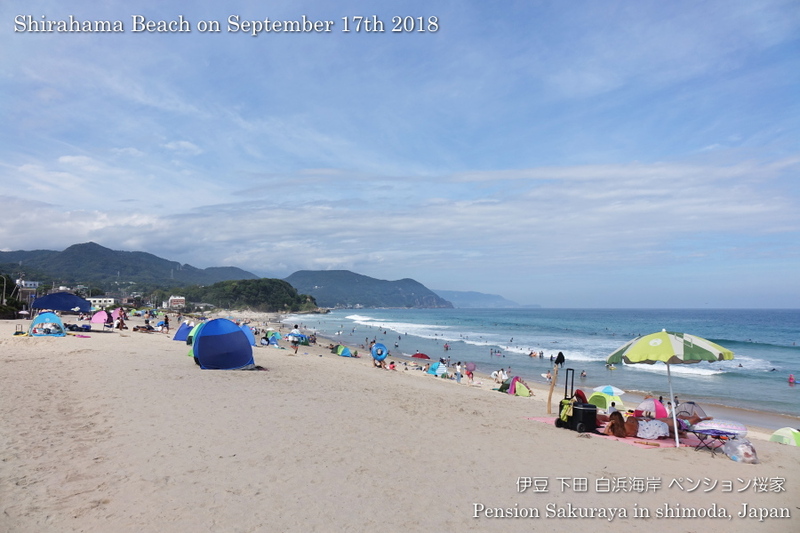 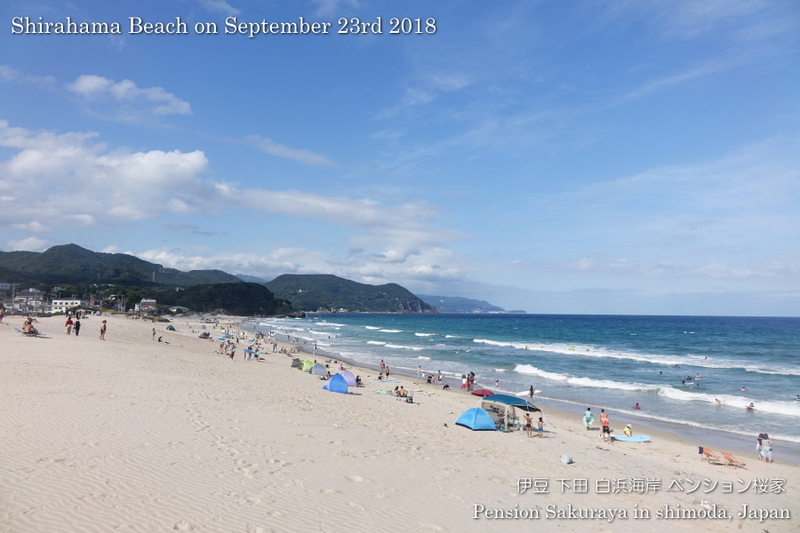 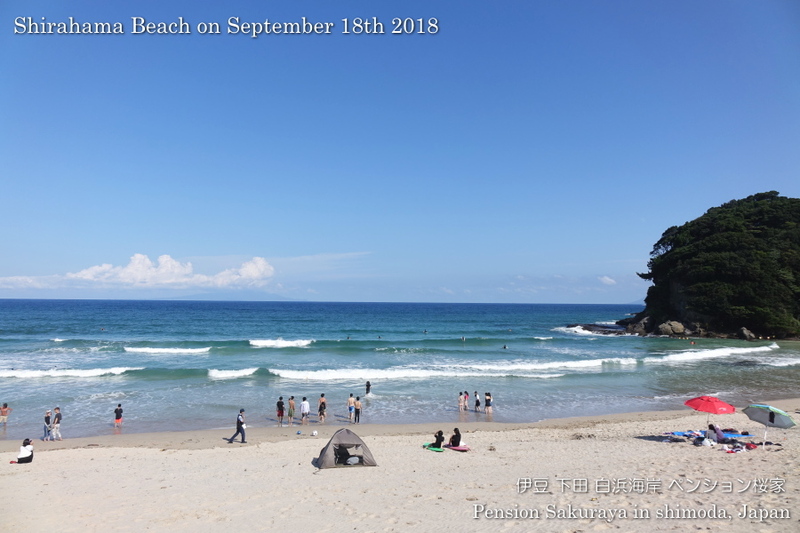 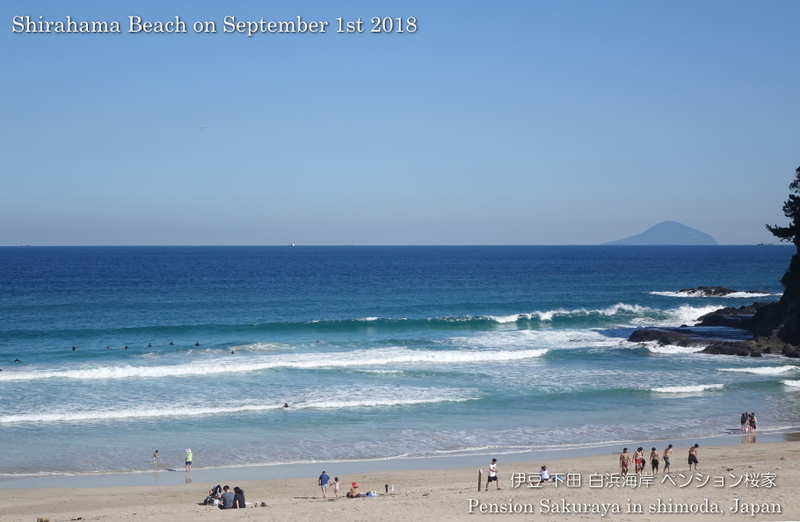 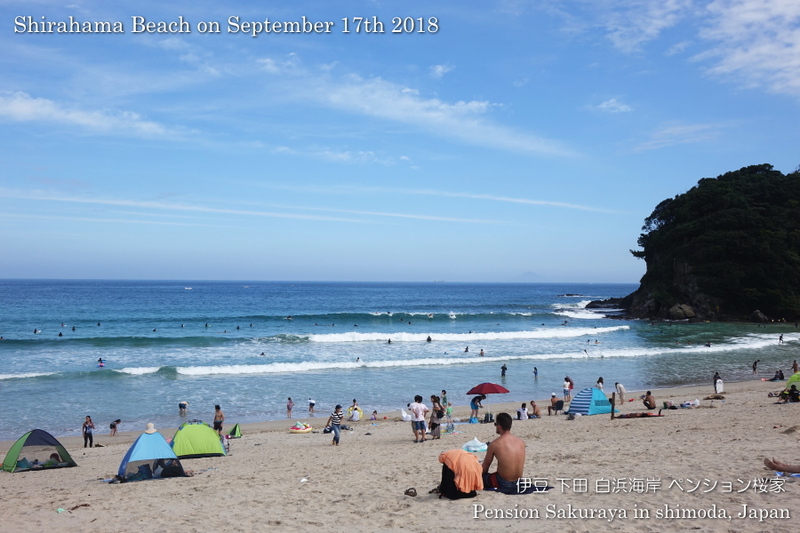 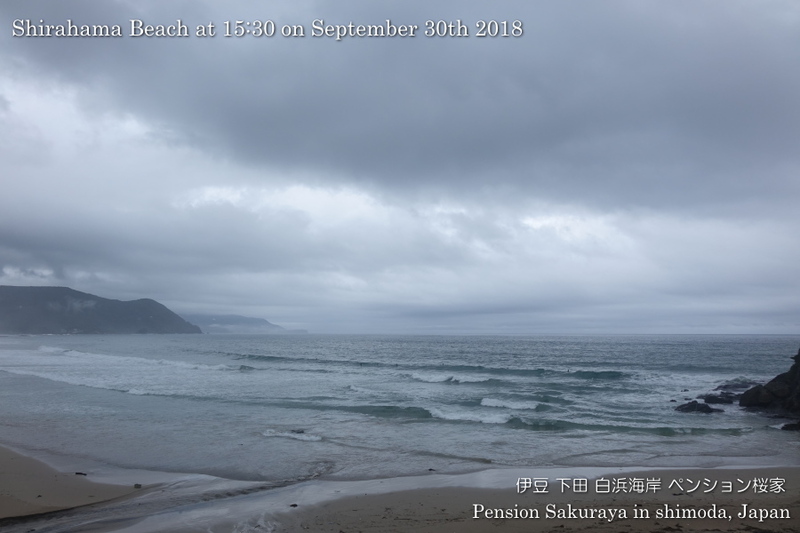 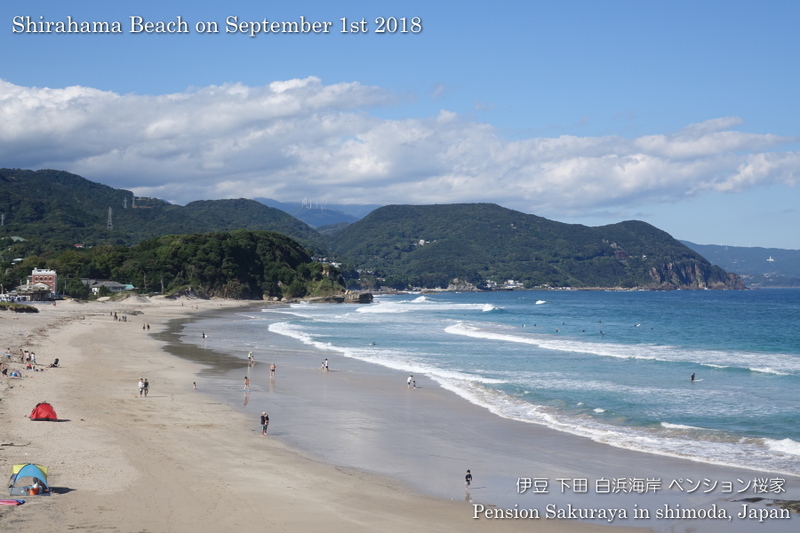 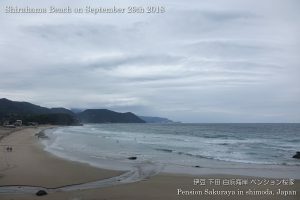 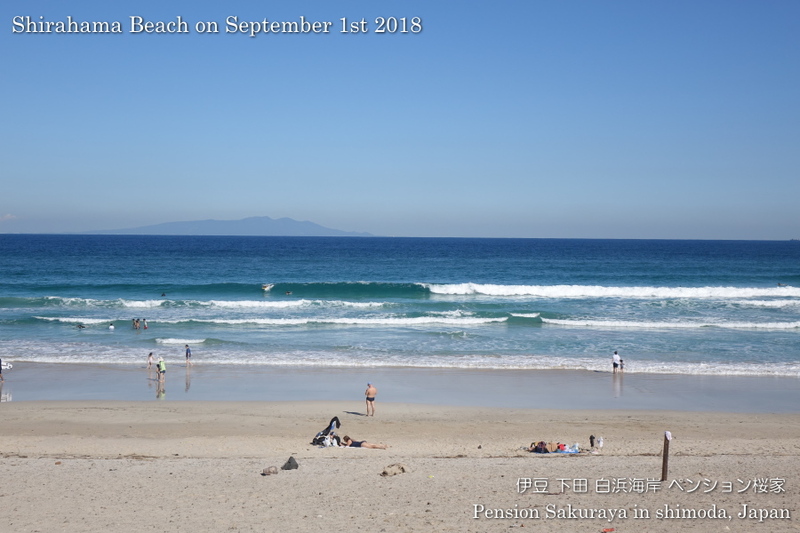 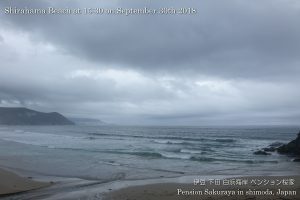 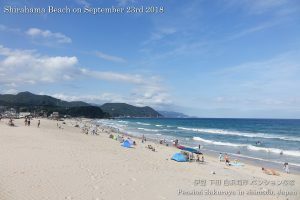 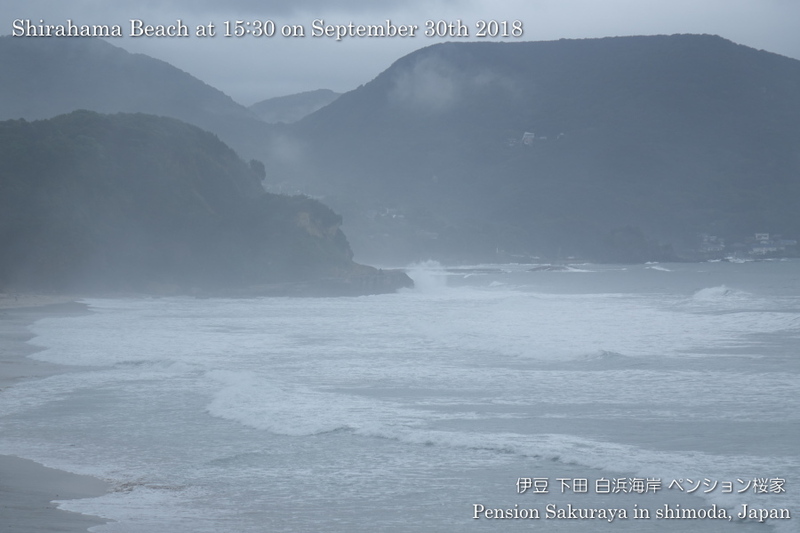 This entry was posted in beach on 2018年9月30日 by izusakuraya. We had a little rain here in Shimoda today. 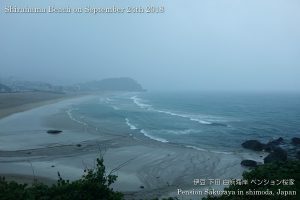 The typhoon #24 is now approaching, so we will have heavy rain and strong wind tomorrow. We have already finish preparing many things to protect our building from the typhoon. We had the sunny day after a long time here in Shirahama today. 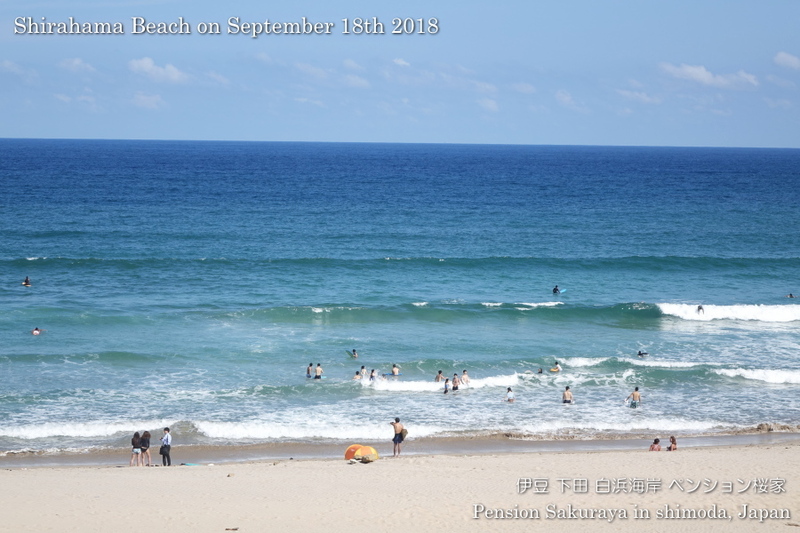 The blue sky and sea were shining very much. 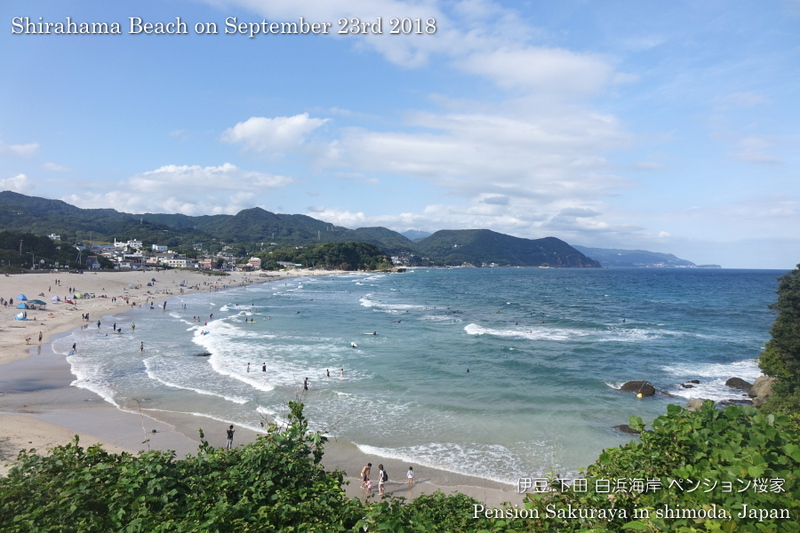 It was really excited to walk looking over the beautiful water! 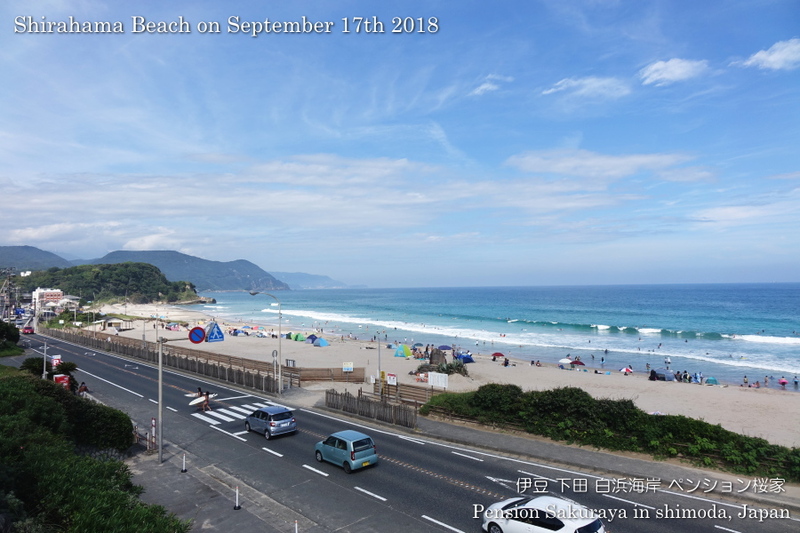 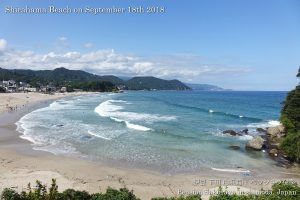 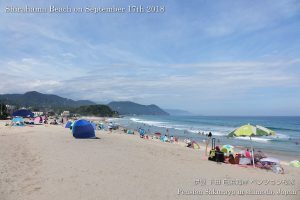 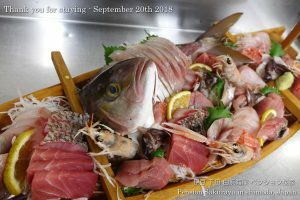 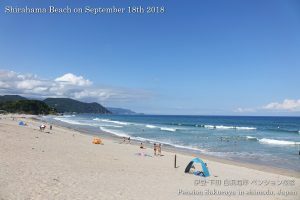 This entry was posted in beach on 2018年9月28日 by izusakuraya. 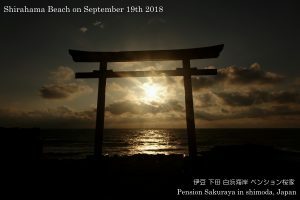 This entry was posted in beach, Flower, nature, Pension Sakuraya on 2018年9月25日 by izusakuraya. 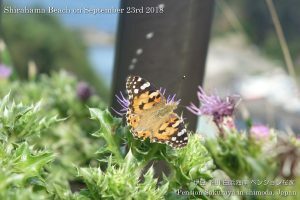 I took this photo on the way to Shimoda for the chorus practice. We were able to see the beautiful moon and the moon light on the sea tonight. This entry was posted in beach, nature on 2018年9月24日 by izusakuraya. 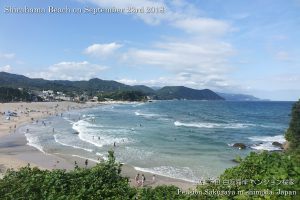 After I finished cleaning the guest rooms I walked to Sotoura beach this afternoon after a long time. 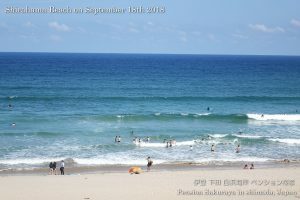 It was sunny and we had north wind today, but it was hotter than yesterday. 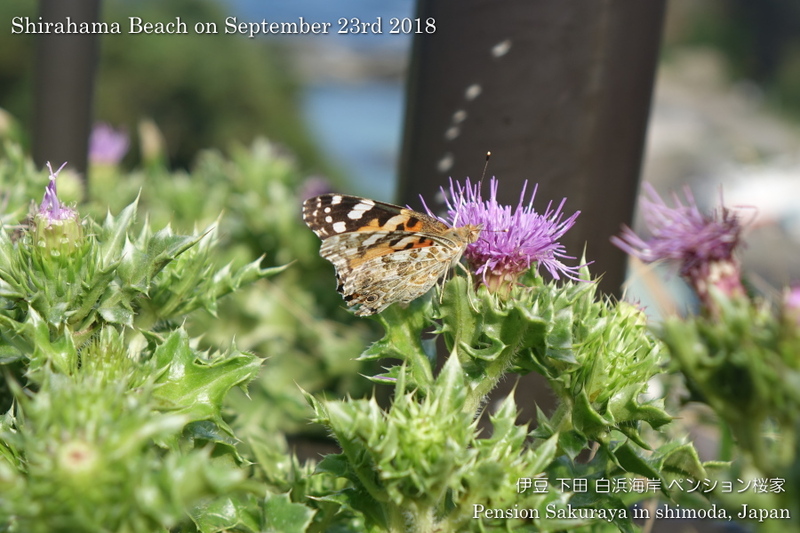 When I was walking on the weaside road I found out a butterfly on thistle flower. This entry was posted in beach, Flower, nature on 2018年9月23日 by izusakuraya. 2018/09/20 Thank you for staying. 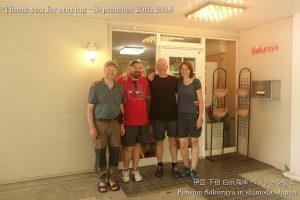 At the same time we, members of chorus group were practicing Mozart with this company’s score by accident. 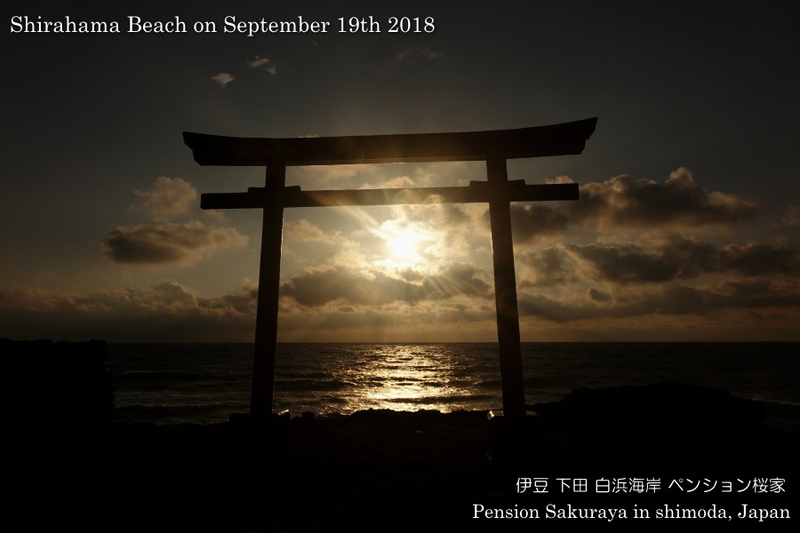 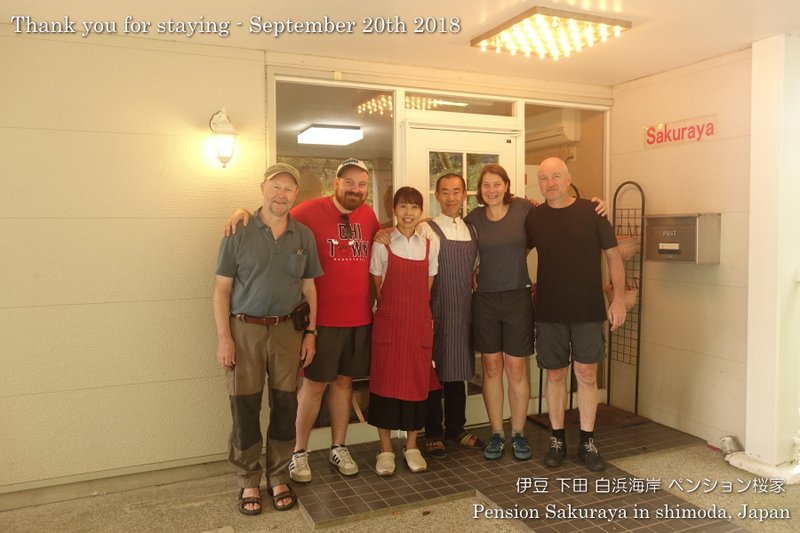 This entry was posted in Customers, Pension Sakuraya on 2018年9月20日 by izusakuraya. 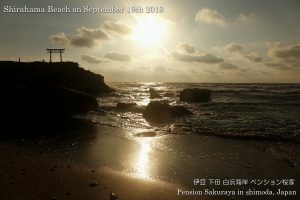 Actually I was not going to wake up early this morning, but I woke up at around 5:00 and was not able to sleep again. 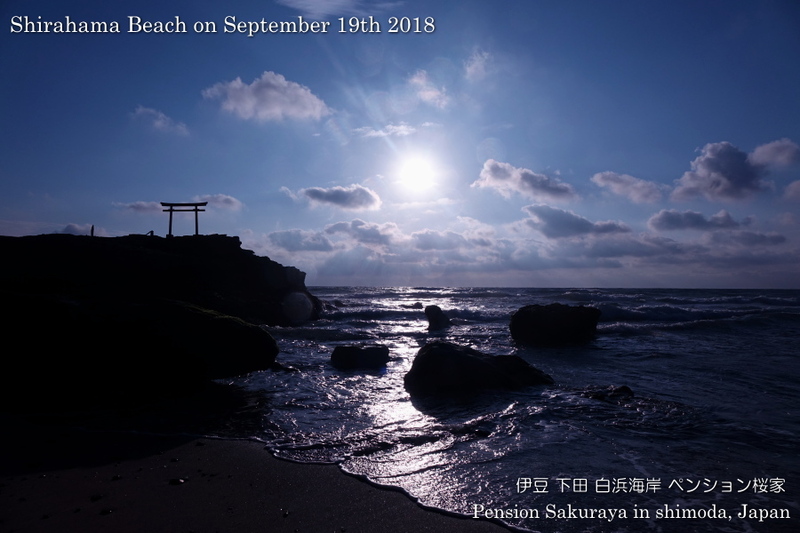 So I went to the beach to take photos…. 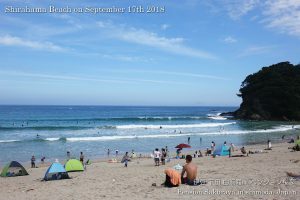 This entry was posted in beach, nature on 2018年9月19日 by izusakuraya. 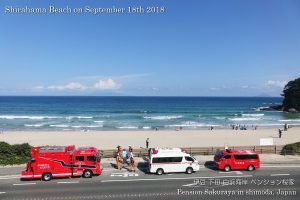 When I was waling this afternoon I saw some rescue vehicles on the seaside road. 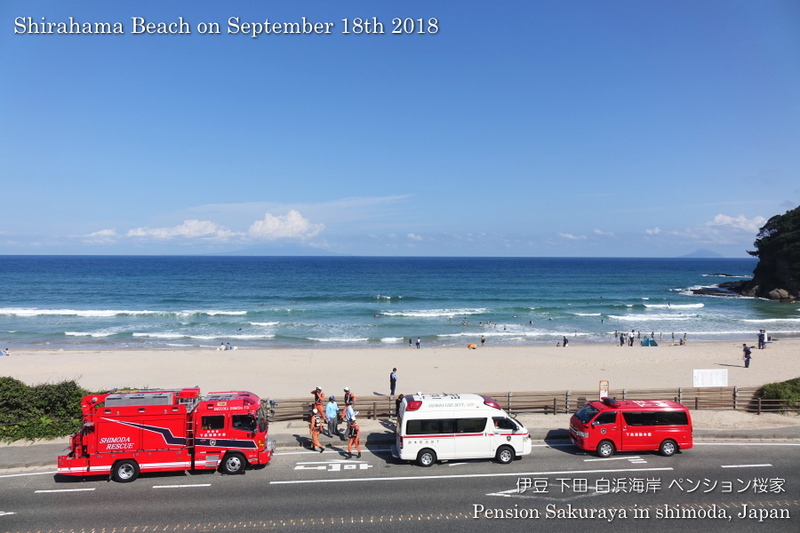 There seemed to be an accident at sea. Please be careful when you get into the water because there is no life guards in this season. 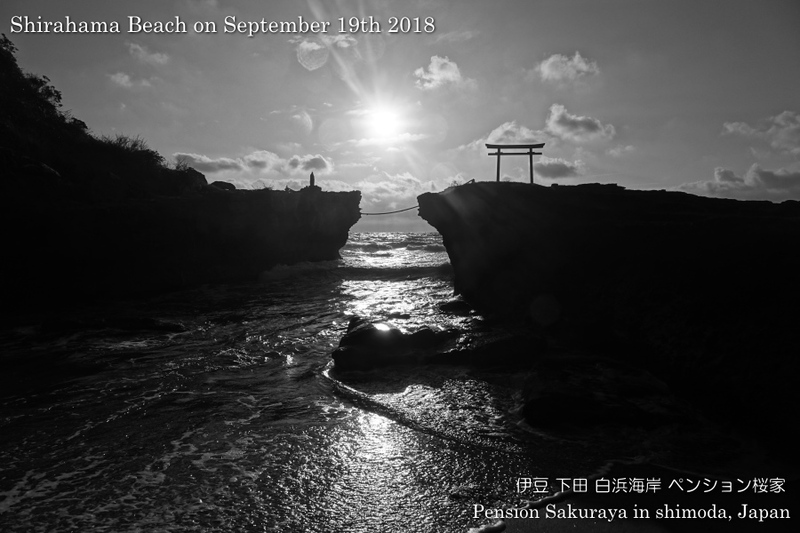 This entry was posted in beach on 2018年9月19日 by izusakuraya. 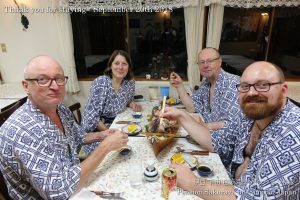 There was no cloud in the sky when we served breakfast this morning. 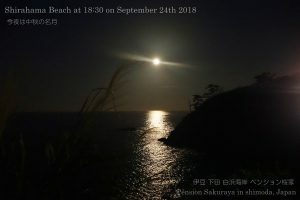 It was really beautiful and I was very excited to see the clear sky after a ling time. 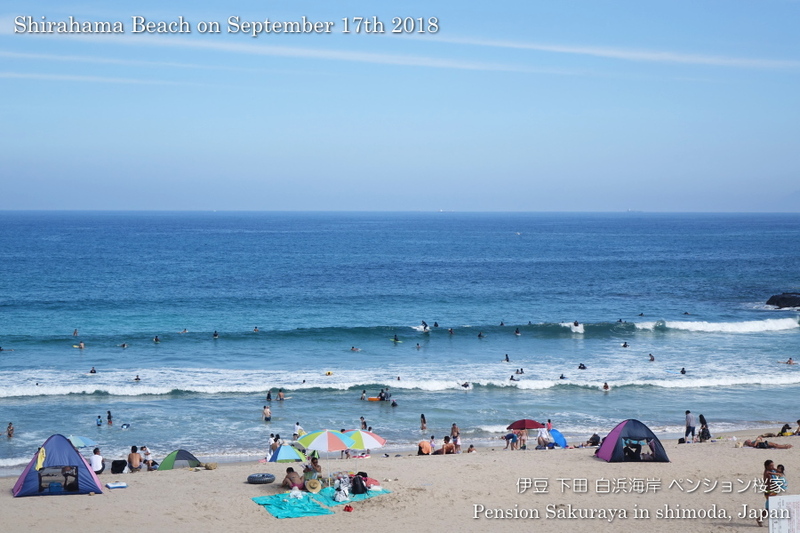 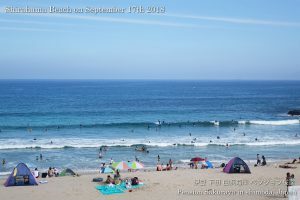 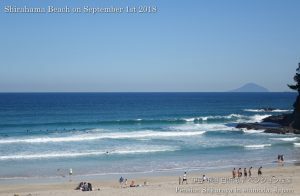 We still are able to swim in September if it is sunny here in Shirahama like today. I hope it would be beautiful holidays next weekend. 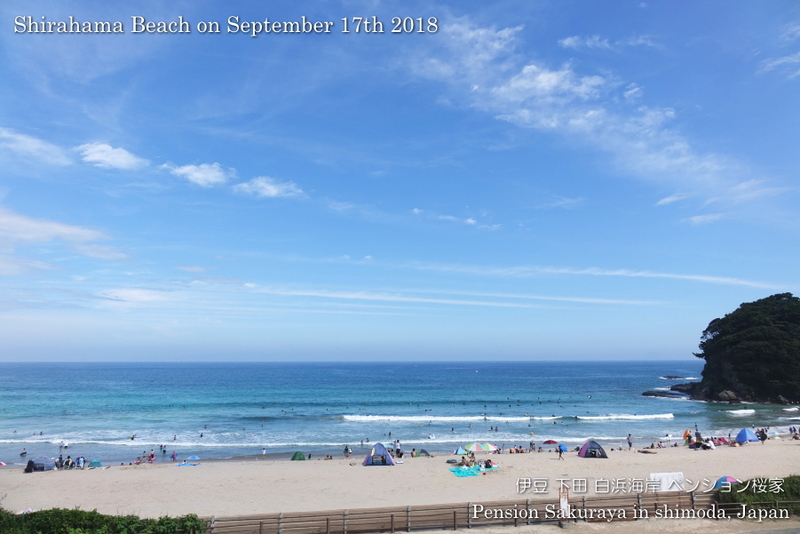 This entry was posted in beach on 2018年9月17日 by izusakuraya.